M0100: A Great Apple Mouse, Or Greatest Apple Mouse Ever? KansasFest 2015 presentation: M0100: A Great Apple Mouse, Or Greatest Apple Mouse Ever? 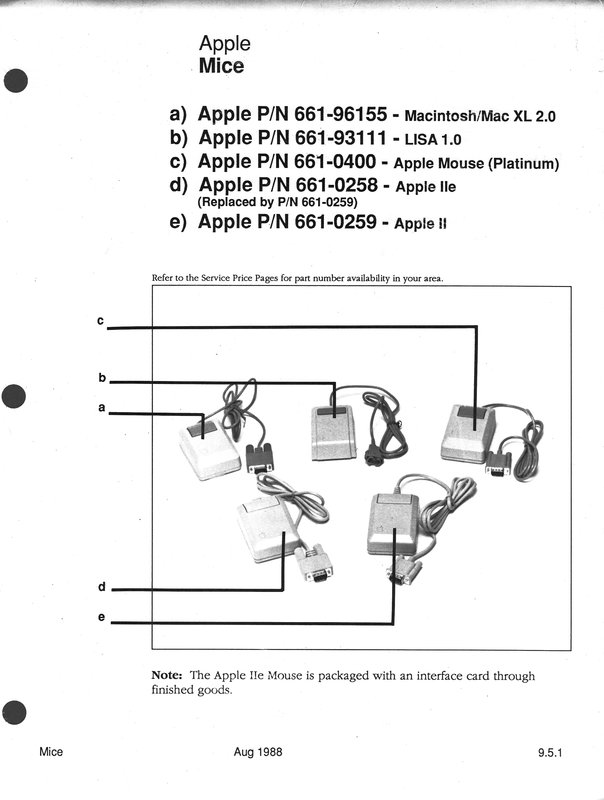 All the early 9-pin Apple mice use the same method of signaling direction and movement, a system called quadrature encoding. Inside the mouse are two encoding wheels, one each for the X and Y axis. These wheels turn as the mouse ball is moved, pushing against metal, or later plastic, rollers. 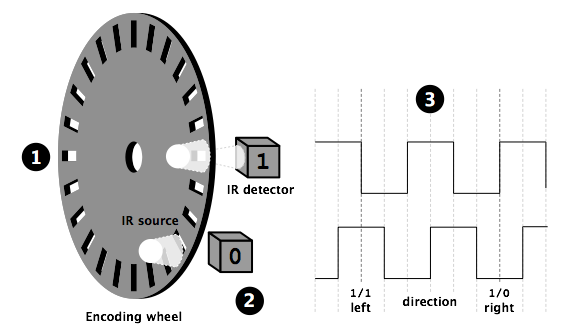 As the encoding wheel turns, holes around the circumference alternately block and reveal two infrared light sources. Opposite the IR beams are detectors that signal high and low as the beam is detected on and off. The two detectors are offset such that the patterns of on and off overlap partly. This creates the quadrature signal, so named because there are four possible states for the two detectors to be in. On-on, on-off, off-off, and off-on. Software on the computer interprets the changes from one state to the next as movement on an axis, detecting the state of one line as the other goes high allows it to detect the direction of the movement.